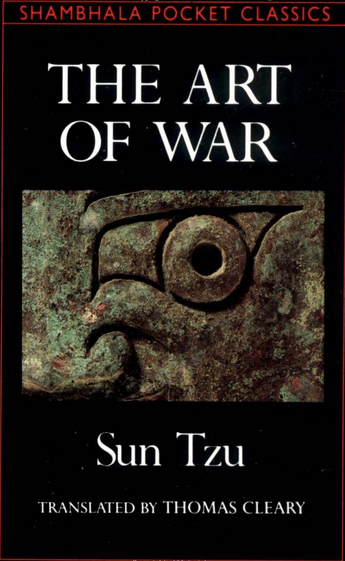 I recently finished reading “The Art of War“ for a second time. The book in itself verses on tactics, strategies and concepts related to war. However, today it is recommended for and applied to several fields, from politics, to business management and sports. The first time I read it I was fresh from having completed an MBA and soon joined the strategy department of Airbus Military, the company I work for. I then took an interest to it from the strategy point of view. However, this time I wanted to read it framing myself from the teamwork, communication and leadership point of view. I found it again, a very enjoyable and useful read. To begin by bluster, but afterwards to take fright at the enemy’s numbers, shows a supreme lack of intelligence. Take a look at the book. It can be read in no more than one afternoon. Depending from what perspective you take you will draw some conclusions or others. Some passages will not relate much to your current situation, but several others will.